We are pleased to welcome you to our office! If you're searching for quality care with a personal touch, we hope you will give us a call. Our staff is committed to providing you with outstanding, comprehensive, and personalized care. 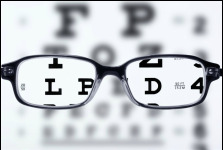 We pride ourselves on giving our undivided time and attention to any questions and concerns you might have.We look forward to the opportunity of serving your family's optometric needs!